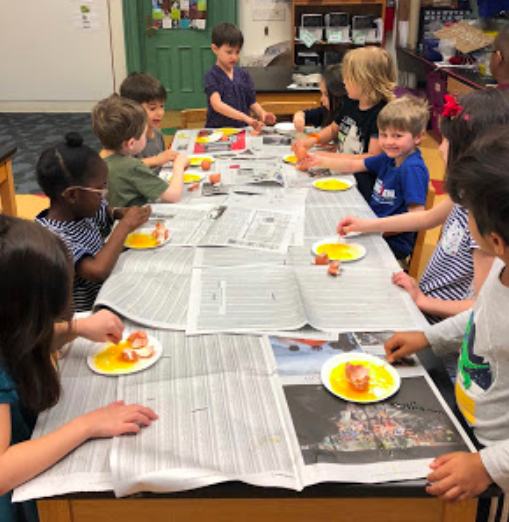 In the Spring, the Kindergartners welcomed chicken eggs into their classroom incubators and waited with baited breath as the embryonic chicks inside grew and eventually hatched. 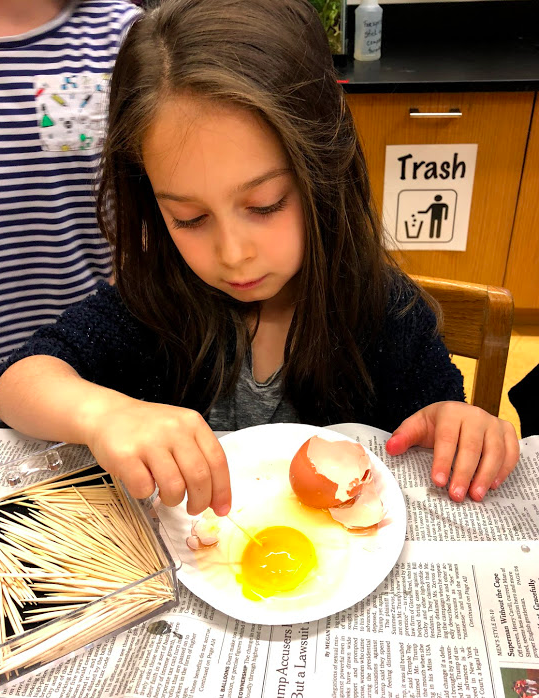 In science, the children discussed different egg-laying animals and compared the different egg shapes, colors, sizes, and that each might produce. Students dissected unfertilized chicken and quail eggs and noticed similarities and differences.